Ea ch year, thousands of families in America and around the world are affected by the scourge of Alzheimer’s disease and other dementias. This is why Lynn Harris, Founder and CEO of ALZcarestore started her business to help caregivers get the information and home healthcare supplies they need quickly, easily, and at a great value. 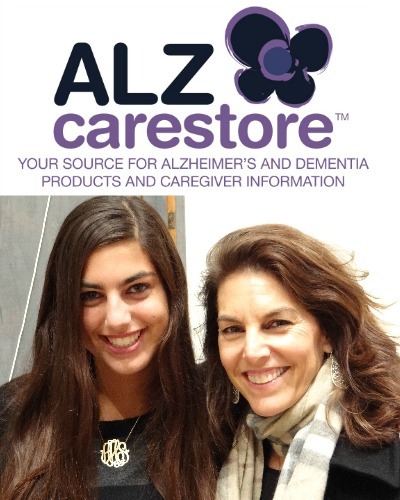 On top of that, ALZcarestore donates proceeds to support Alzheimer’s research and care. We sat down with Lynn to talk about the story behind the founding of ALZcarestore, her personal experience with Alzheimer’s disease, and her vision for making a difference in the lives of those affected. 1. Can you tell me a bit about your background, and your inspiration and vision for alzcarestore.com? My mother-in-law was diagnosed with Alzheimer’s disease and passed away early in 2012. During the time of her illness, we saw how demanding caregiving could be; how it impacted everyone around her and every aspect of life. We learned how much was required to care for her. It took information and it took lots of supplies. My daughter and I thought long and hard about how we could honor my mother-in-law (her grandma) and help others who were in our position. That’s how ALZcarestore was born. By helping caregivers get the information and home healthcare supplies they need—quickly and easily and at a great value—and, donating proceeds to support Alzheimer’s research and care, we think everybody wins. Our vision for ALZcarestore is to help as many people as we can who are caring for someone suffering from Alzheimer’s and to make a large enough contribution from the sales of ALZcarestore to help find a cure. What is the best advice you can give someone who is faced with providing care to a loved one with Alzheimer’s? Reach out and get support, whether it is from family, friends, other caregivers or other people caring for a loved one with Alzheimer’s. You are not alone. It is difficult to watch a loved one experience the decline through the stages and by reaching out to others for support, you will feel better and you will be better equipped to provide care. You can learn a lot from others going through the same thing. What has been the biggest joy or reward for you in starting ALZcarestore? The biggest reward for starting ALZcarestore was making over a 4 figure donation to Alzheimer’s Research in our first year, 2014. Connecting personally with our customers, and hearing their stories and helping them on an individual basis is extremely rewarding. Just knowing that we are making a difference and helping others who are going through what we went through is gratifying. What are some of the best resources you have come across for helping those with Alzheimer’s and their families/ caregivers? Some of the best resources have come from the Alzheimer’s Association. There is a great deal of content, information, advice and community outreach that is available through them which is extremely beneficial. Your business grew out of your personal experience as a caregiver to your mother-in-law, and wanting to make a difference for those in similar circumstances. What are some other ways that people can get involved? There are many ways people can get involved in the fight against Alzheimer’s disease. One way is to volunteer for special fundraising events such as galas and special events. Another is to participate in the “Walk to End Alzheimer’s”. People can also volunteer their time in their community to visit with Alzheimer’s patients in assisted-living facilities and nursing homes. They can even volunteer their time to work the Alzheimer’s helpline support calls. If they have personal stories and experience, just sharing those with people in their community is helpful. People can also get involved in advocacy and policy-related issues to persuade Congress to make Alzheimer’s disease a national priority and support legislation to get the funding needed to fight Alzheimer’s disease and find a cure. In your opinion, what’s the biggest misconception that people may have about Alzheimer’s disease? The biggest misconception about Alzheimer’s disease is that it only affects old people. More than 200,000 people in the United States have younger-onset in their 40’s and 50’s. And this number is growing. What else should we know about ALZcarestore? It is our hope that people when buying home medical supplies will choose to buy from ALZcarestore because they know they are getting top quality products at a great value while giving back to something that they care about. Each year, thousands of families in America and around the world are affected by the scourge of Alzheimer’s disease and other dementias. Our family is no exception. Eight years ago, Joie Harris, my mother in law and Allie’s grandmother, was diagnosed. She passed away early in 2012. In between we were confronted with a situation that required us to learn new caregiving skills, tested our emotions, and that brought us into contact with some of the most extraordinary and inspiring caregiving people and organizations we could have imagined. Joie was at home for the majority of her illness. During that time we saw how demanding caregiving could be; how it impacted everyone around her and every aspect of life. We learned how much was required to care for her. It took information. And people. And it took lots of supplies. Though her smile remained almost ever-present, as we experienced Joie’s mental decline, Allie and I thought long and hard about how we could honor her and help others who were in our position. That’s how ALZcarestore was born. By helping caregivers get the information and home healthcare supplies they need — quickly, easily, and at a great value — and, donating proceeds to support Alzheimer’s research and care, we think everybody wins. We’re partnering with some of the leading organizations in Alzheimer’s and dementia caregiving, drug discovery, home health care supplies, and many of those leading the fight to find treatments and cures for these now incurable conditions. It’s hard work — but if you are reading this, you are probably already involved in providing care for someone. So you know.